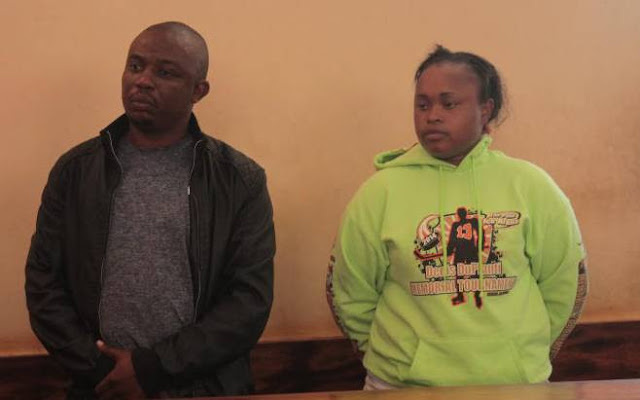 A Kenyan man identified as Joseph Kori Karue and his lover Judy Wambui Mungai have been arrested in connection to the death of his wife, Mary Kamangara who was murdered last Sunday and her body dumped in a dam. Police have been allowed by a Kiambu court to hold the suspects for two weeks following the murder of the 39-year-old Mary. Joseph Kori Karue and Judy Wambui Mungai appeared in a Kiambu Court on Tuesday, January 29. The mutilated body of Mary Wambui Kamangara was found dumped in a dam near Mugutha estate in Juja constituency on Sunday evening. The duo was arrested on Monday. Mr Arwasa told court upon a thorough search, blood-stained clothes were recovered from Wambui Mungai’s rented house at Four Ways Estate on Kiambu Road. He said they were yet to conduct a postmortem examination on the woman’s body to ascertain the cause of death and to record statements from some key witnesses. He said detectives needed to retrieve mobile data from Safaricom and Airtel, which he said was important in the investigations. Arwasa told court they were yet to forward the blood swabs and the clothes collected from the second respondent’s house for DNA analysis.